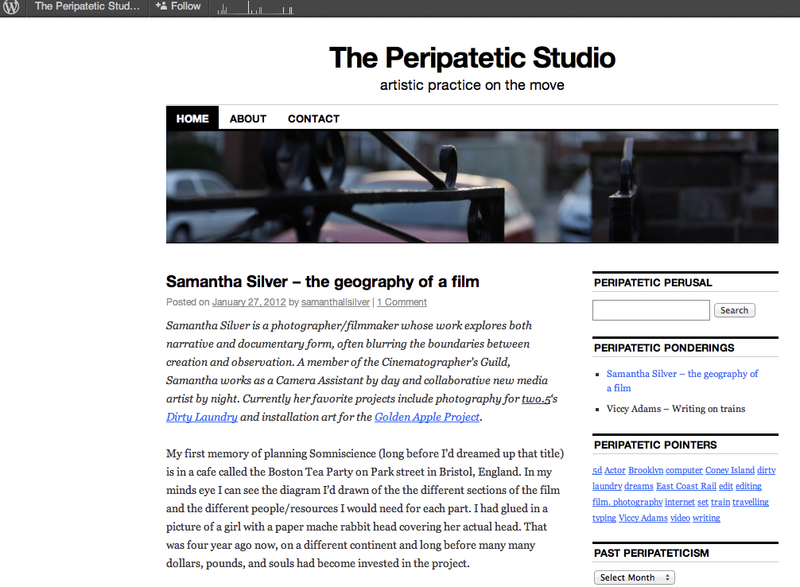 As part of our collaboration, two.5, Samantha and I share work and collaborate in real time through the medium of digital technologies (shared webgallery, process-charting blog, internet telephone and text service, email, Facebook, Twitter). Naturally, the digital space in which we work together has a huge influence on the work we produce together. A key element of two.5 is that we chart the effect of the collaboration on our creative processes, to help us understand better how we work both as individuals and together. 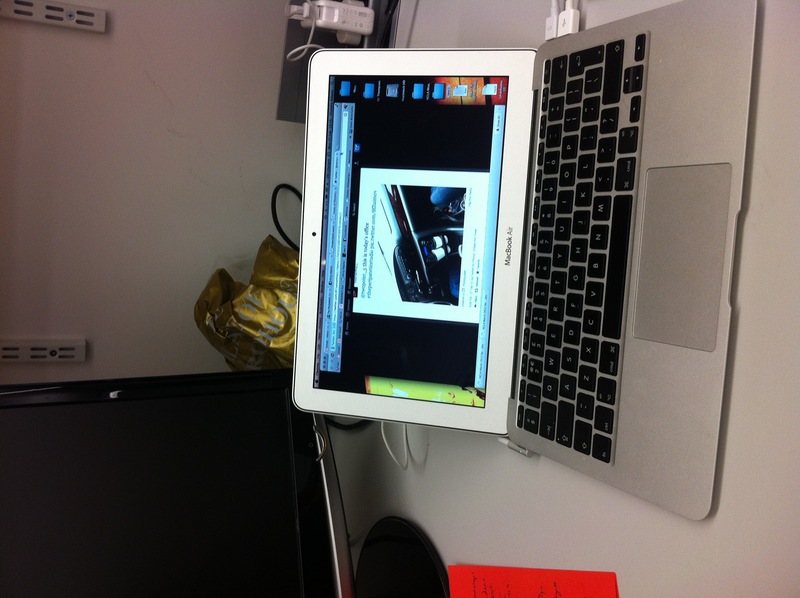 Me looking at a photo of Samantha’s ‘car-office’ of the day (that she tweeted me), on my laptop in my Edinburgh office. I subsequently tweeted her this picture. At which point the entire universe collapsed.